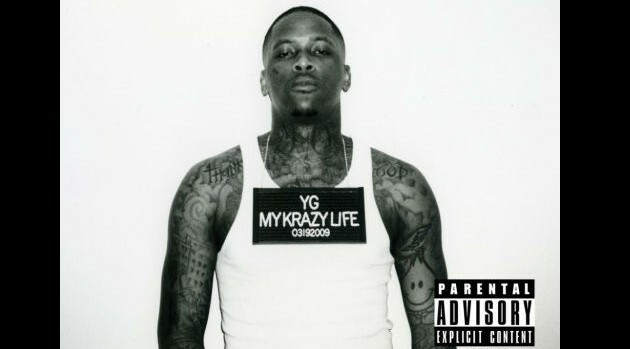 Def JamYG‘s major label debut, My Krazy Life has secured the number two spot on the Billboard 200 chart this week. According to the publication, the album sold 61,000 copies it its first seven days in stores, which is 10,000 more than what industry forecasters initially expected for the West Coast rapper. Led by the platinum-selling single “My Hitta,” the disc includes contributions from ScHoolboy Q, Jay Rock, Kendrick Lamar, Drake, Ty Dolla $ign, Jeezy, Rich Homie Quan and others. The set also includes YG’s newest single, “Who Do You Love” featuring Drake, which has cracked the top 20 on the R&B/Hip-Hop Songs tally. Elsewhere on the Billboard 200, Pharrell Williams‘ G I R L slips from #5 to #6, selling an additional 34,000 while Rick Ross‘ Mastermind falls from #3 to #7 with 27,000 copies sold.